An assured second effort from Guinn, former Ole Miss professor. Set in Reconstruction Atlanta, a group of prominent businessmen known as “the Ring” has staked much on the city's Cotton Expo, but a rash of brutal murders jeopardizes their plan and the populace. Canby is a disgraced lawman brought back to the city as the lead investigator but quickly realizes how much is stacked against him. The cast of characters, taut plotting, and depiction of the period make for a great read. After leaving Atlanta in disgrace three years before, detective Thomas Canby is called back to the city on the eve of Atlanta's 1881 International Cotton Exposition to partner with Atlanta's first African American police officer, Cyrus Underwood. The case they're assigned is chilling: a serial murderer who seems to be violently targeting Atlanta's wealthiest black entrepreneurs. The killer's method is both strange and unusually gruesome. On each victim's mutilated body is inscribed a letter of the alphabet, beginning with M. The oligarchy of Atlanta's most prominent white businessmen-the same men who ran Canby out of town, known more openly before Reconstruction as the Ring-is anxious to solve the murders before they lose the money they've invested in both the exposition and the city's industrialization, even if resolution comes at the expense of justice. After Canby's arrival the murders become increasingly disturbing and unpredictable, and his interference threatens to send the investigation spinning off in the wrong direction. As the toll of innocent victims rises, Canby must face down enduring racism and his own prejudices, to see clearly the source of these bloody crimes. Meanwhile, if he can restore his reputation, he might win back the woman he loves. 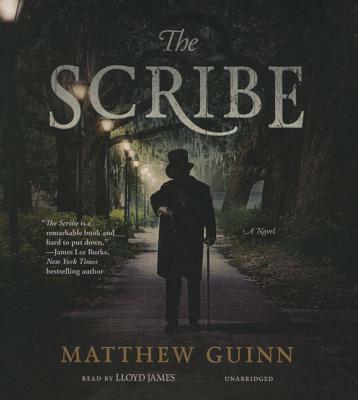 With scrupulous attention to historical detail, Edgar Award finalist Matthew Guinn draws listeners into a vortex of tense, atmospheric storytelling, confronting the sins and fears of both old South and new.